Accessorize your cowgirl costume with this pink enamel sheriff star earrings. Clip on. 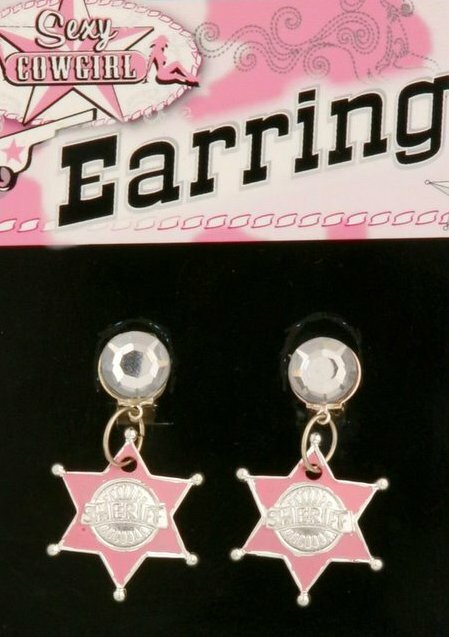 Check out more costumes and accessories in our Cowboys and Indians section!